The gravity-powered septic system is so quiet, so natural and so energy-free that we tend to forget the vital function it serves. 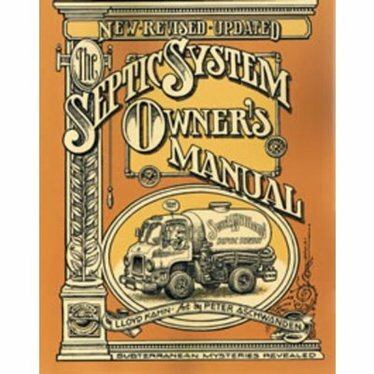 This detailed book will show you how to understand, maintain, trouble-shoot and fix the septic system buried in your yard. Contains glossary, index, bibliography, sources and hundreds of diagrams. Kahn, Allen and Jones, 8" x 10", 179 pp.